Have you heard? Jurassic World is hitting theaters this Friday! My household is roaring with excitement so you know we had to bust out some fun projects. 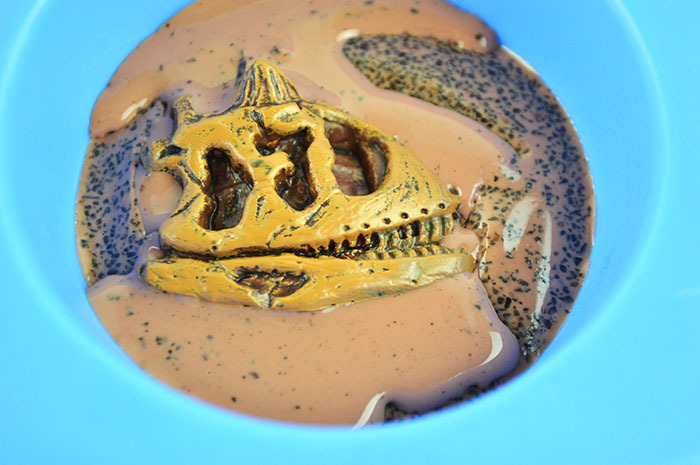 Today my oldest son and I made some Jurassic World Inspired Dinosaur Fossil Soap, they turned out awesome and I cannot wait to share them with you! 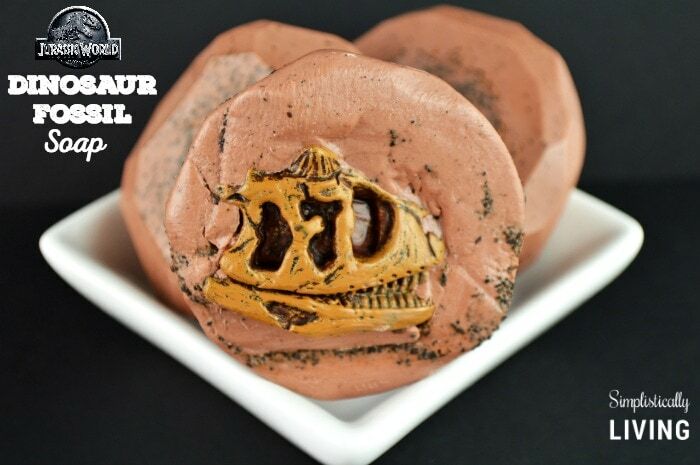 Anyways, the idea behind this soap is that it’s supposed to be “buried” fossils of dinosaur skulls. 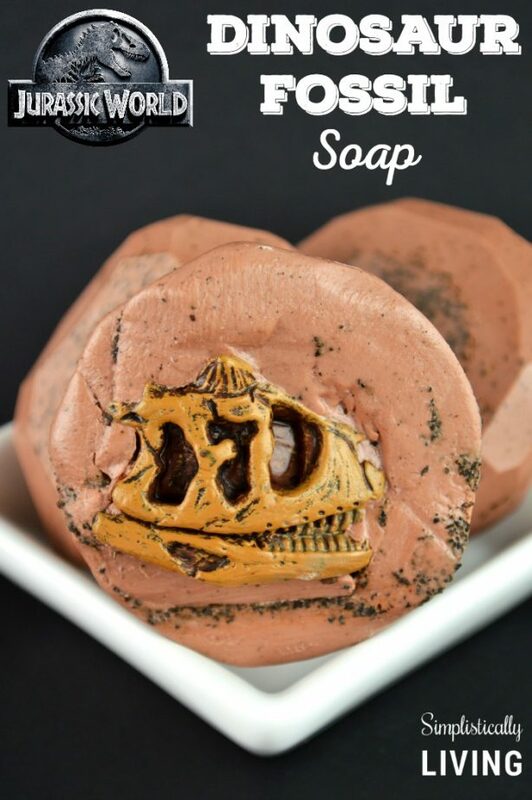 So the soap above is an image of the soap after it has been used and your little one’s have “dug” to find fossils. 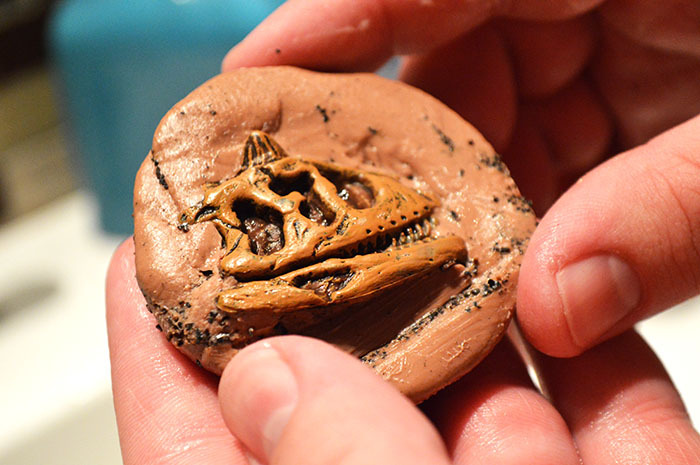 The “fossils” are toys of dinosaur skulls that your kids can keep and play with. Cool right? I sure hope you will make some of your own! 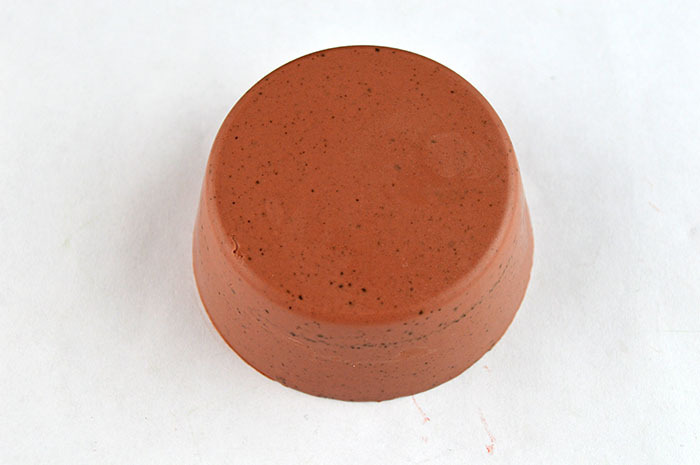 Start by cutting your white melt & pour soap base into small chunks. Then place into your microwave safe measuring cup. Microwave the soap for 30 seconds, remove and stir. Complete this process until all soap is melted. Once soap is melted, it’s time to add your colorant. I used 1 full color block to reach the color shown above. 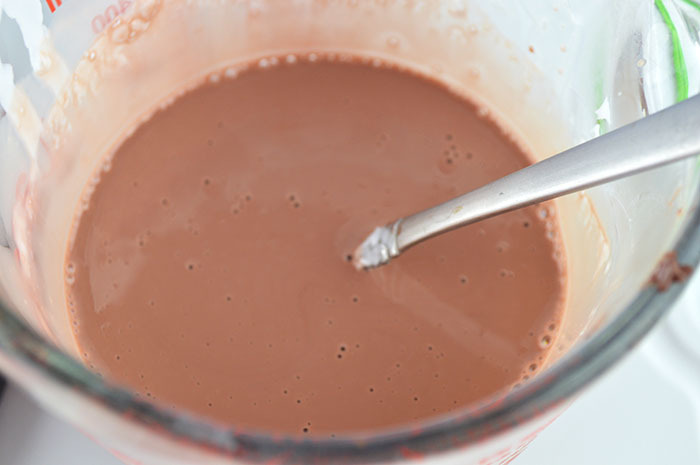 Stir well until all color is melted and well blended. Add your essential oil. With Young Living Essential Oils a little goes a long way, you only need 2-3 drops. Add the drops to the melted soap using your plastic pipette. Stir well. 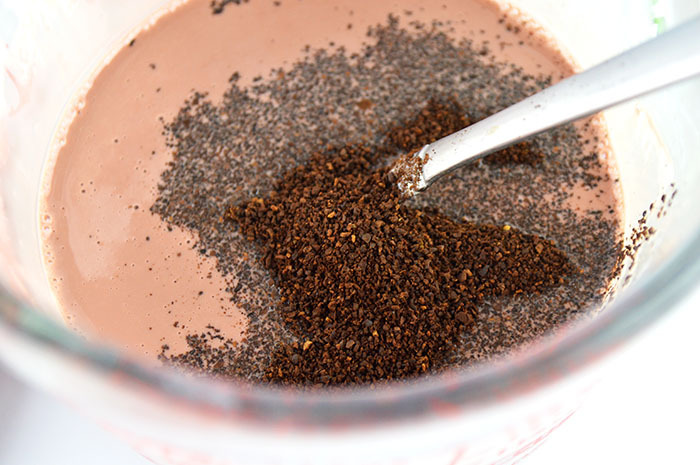 Add your coffee grounds to the soap and stir well. Allow the soap to cool a bit and then stir again so the coffee grounds will be evenly suspended throughout. Add the strawberry seeds and stir well. 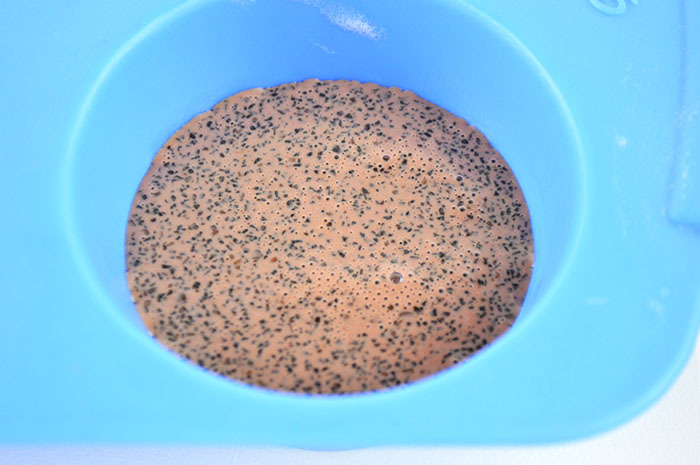 Pour about a half inch of soap into each cavity of your soap mold. Then spray the top with rubbing alcohol. Add your dinosaur skulls to each cavity. Again spray the soap and skull liberally with the rubbing alcohol. Fill the rest of each cavity with the remaining soap base until each cavity is filled entirely. Spray the top with rubbing alcohol to remove any air bubbles that may have surfaced. Allow the soap to harden in the mold for 6-8 hours (overnight is ideal). Once hardened, gently press on the mold from the back to release the airlock and the soaps will pop right out. 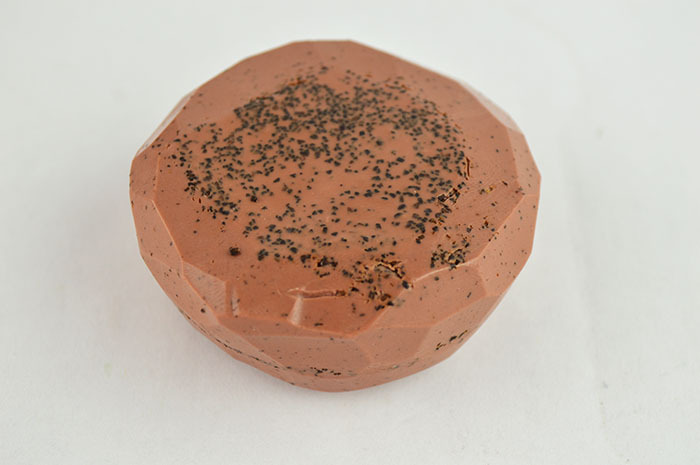 If you want to make it really look like rocks, take your soap cutter or knife and cut around the edges and around the soap until it starts to look like rocks. 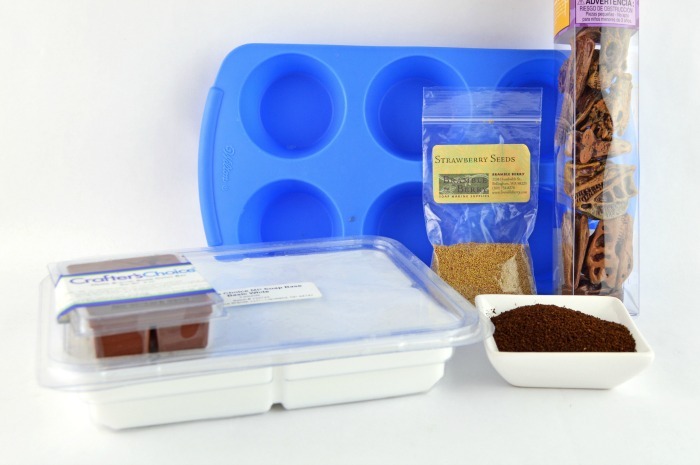 You can immediately use the soap or wrap each bar into plastic wrap for future use. 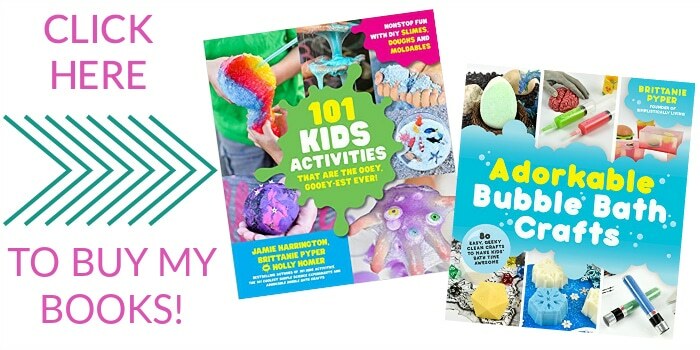 With more and more use, your child will start to see the skull popping through like a real dinosaur fossil! Each dinosaur skull will remain a secret until then! So fun! Looking for more Homemade Beauty Products? Check out more below! Did you just use the 1 lb block of soap base plus one square of colorant for the 6 molds? Great idea! How many did it make? Did it fill all 6 cups? Thank you. Wow! This was so creative! I have some nieces and nephews who would LOVE this! Thank you for sharing it with us at the #HomeMattersParty this week! I always love seeing what you've got going on! What a great idea! My boy would love the fossil soap. Thanks Joor! I sure hope you give it a try! Wow.....very impressive! You have incredible talent!